My oh my oh my. After a complete week off of work, blogging, and most organized exercise, I’m not sure where to begin. Honestly I’m torn between having so much to say and not having anything at all. There sure are a ton of jokes and stories encountered over the last few days but without sufficient processing, it’ll probably just come out as jibberish so until I find the right moment to share, we’ll leave it at that. Over the past 10 or so days, I tried to cut myself off from technology and work, which is something I’ve never been able to do before. It was my own mini-digital-detox and it enabled me to stay focused and fully enjoy vacation. By any means, it was just the right amount of time with friends and family to keep me sane and also ready to get back to NYC city life. Friday was spent between appointments, lunch with the family at Lemonade (1 – they do support my blogging but love to make fun of my pictures 😉 and 2 – see my thoughts on the delicious eatery here), and an outdoor country concert! I swear, outdoor concerts are oodles better than indoor concerts. There really is no comparison, especially when it’s as beautiful as Griffith Park. This time at home also helped me realize a few things about myself. Like everyone, I’m a work in progress and as countless articles and bloggers and writers have pointed out – growing up is tough. It’s been over a year since I graduated college and yet I’m still trapped in this confusing world of living on my own, creating my own rules and schedule and then looking back on my hometown, my family, and the life I used to lead. It’s time to figure out how much I can allow myself to rely on my parents, the familiarity of home, and how much I can accomplish on my own as an adult. Sometimes I wish I were closer so that I could play golf, watch a sports game, take Bodie for a walk after work, or make dinner with them. I worry that I’m not making the most of the time in New York or even if what I’m doing makes a difference in the world. Whatever it may be, I know that my childhood was an influential part of my life but that life is in the past. I know that if I were at home, I’d probably be isolated (there aren’t many young people in our town) and I definitely wouldn’t have the opportunities as I do in New York. Yet at the same time, it’s human nature to reminisce and consider how the grass might be greener. I really only was at home for a hot second but it truly was a marvelous California trip. From morning runs and hikes with friends to a trip the Getty Villa, catching up with grandparents and extended family and a jaunt up to Mammoth, we did it all. We even embarked on a 2 day white-water rafting trip down the Tuolumne River, just outside of Yosemite! We finished off the trip with a visit to Laguna Beach and a full-on family reunion. I had a blast in the ocean (Pacific > Atlantic for sure) and chatting and joking with my cousins, all of whom are in junior high, high school, or entering college. Such a strange time to look back on! Continue on here if you are In the mood for more marvelous in your Monday! 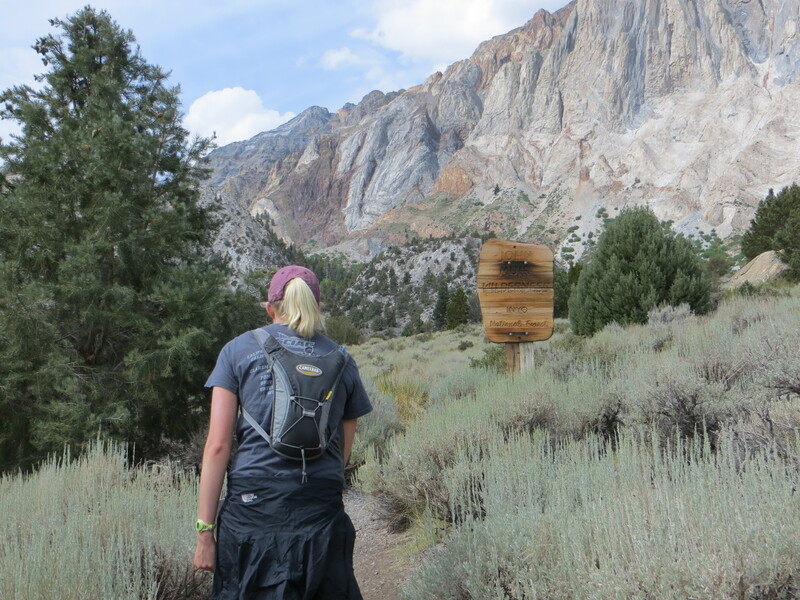 This entry was posted in Marvelous, Summertime, Vacations and tagged digital detox, family, friend, hiking, home, lemonade, Mammoth, Mammoth Lakes, Mammoth Mountain, summer, vacation, Yosemite by Kaitlin. Bookmark the permalink. Going home after moving away is so special. I think it really makes you appreciate your family more, and shows you how much you’ve grown. I feel you on having to get out though. Being back home this summer has made me feel so isolated, and I’m ready to get back out on my own! You really do start to appreciate everything a bit more! If anything, it’s a great life lesson to say thanks and then enjoy the moment. Sounds the perfect break to me hun 🙂 growing up is weird at the best of times, and it’s even more strange when you go home for a visit and not to stay. I think you’re doing a great job making the most of your life in NYC right now, and I’m excited to see where you go next. Looks like such a wonderful trip! Gosh, I really need to unplug for a week or so too. I feel like I get waaaayy to sucked in to social media/blogging/constantly being on my phone instead of really enjoying my time with friends and nature. Props to you! You would totally be surprised how refreshing it is to cut off technology and yet so frightening as well 🙂 I’ve tried to put it away when I’m with friends but can’t help whip it out when I’m bored. What an awesome trip! I could use a technology break myself, seriously! I think while it can be difficult, it’s oh so important! I didn’t have wifi for most of the weekend, and even that felt really good! I’m always so torn between loving having so many online connections/social and feeling like I need to get away from it all. I’ve missed reading your posts, that’s for sure! I love those articles..very, very relatable. As I am currently living at home, and while I am pretty independent, I definitely miss being fully on my own! I just try to remind myself it won’t always be this way, and I need to appreciate it while I can! 🙂 glad you had a good vacation girly! That’s a good point — being torn! We like to have our cake and eat it too 🙂 It certainly will not always be that way but great that you understand and appreciate what you have in the moment! My friend, you are stealing words from my mouth and heart. I’ve been doing this “adult thing” for barely 3 weeks and I am wondering how the heck I’ll make it through the next year while I am still in the midst of finding myself. I catch myself reflecting on life whenever there is silence or I feel like I might not be doing it right. “it” being life- but who can? This love post and glad to read that you are rejuvenated. As we will chat later I’m sure, this finding yourself is a length process. I’m blessed to have you guys to bounce off thoughts and find inspiration but it sure can be a tough world out there. Just keep doing what you are doing and you will find yourself. 🙂 Power on love!